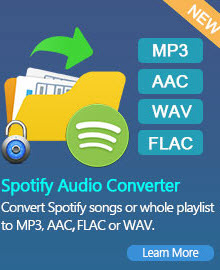 Any Video Converter - How to Converter MP3 to YouTube! People listen to MPEG-1 Audio Layer 3 (MP3) files due to their high compression sizes and solid retention of audio qualities. YouTube is a popular video social web site with lots of uploaded content, including comedy, news and music. Though YouTube itself does not have a function to upload MP3's directly onto its web service, you can convert a MP3 into a video so that it is compatible for uploading with their system. 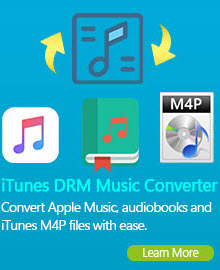 But how to convert MP3 to YouTube? Any Video Converter is an easy-to-use program for downloading and converting videos from such services as YouTube, Daily Motion, Google Video, Nico Video and etc.. Besides, it is also an ultra MP3 to YouTube Converter which can perfectly edit and convert MP3 to YouTube videos. It can also convert YouTube videos to any other formats such as AVI, MPEG, WMV, MOV, MP4, RM, RMVB, DivX, ASF, VOB, 3GP, FLV to WMV video format supported by portable devices. Now you just need to follow the steps below while using MP3 to YouTube Converter and then can have fun with converting MP3 to YouTube. Step One: Before you start to convert mp3 to YouTube, please download a relevant image, band picture or album cover related to your song. Be sure that you ask permission to use content pulled from the Internet due to copyright law. Step Two: Open up your video editing software. Windows comes built in with Windows Movie Maker, while Macintosh is bundled with iMovie. Both programs are user friendly with a drag-and-drop interface. You can also use Any Video Editor to import the pictures into mp3 audio and then convert mp3 to YouTube. Step Three: Import both the MP3 file and the picture into Any Video Editor. Drag and drop the uploaded contents into the audio layer for the MP3, and the picture for the video layer. Start to convert mp3 to YouTube. Step Four: After mp3 to YouTube conversion finished, save your content into a video format. The video quality does not matter as much as the audio quality you save into; YouTube recommends 44.1kHZ channel output in stereo format to get optimal audio results. Step Five: Watch and check the audio quality of your video. When you are satisfied, you can upload the mp3 to YouTube videos to the video-sharing websites. Besides converting mp3 to YouTube, Any Video Converter is also YouTube video downloader and YouTube video converter. It is very easy to download to your hard drive and convert YouTube Video to MP3 with the built-in YouTube video downloader and YouTube video converter.